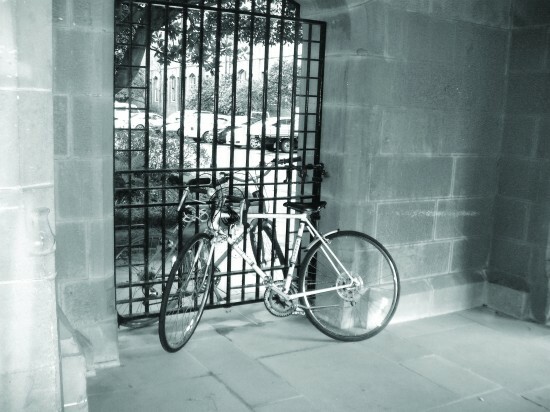 All bike racks are equal, but some are more equal than others, finds Mariana Podesta-Diverio. Those of you seeking convenience and centrality need not look any further than the racks that line the exterior of the chemistry building. Even during Wednesday mid-morning campus peak hour, there are almost always racks sitting available on this patch of Eastern Avenue. The fairly recent addition of a water filter/bubbler in close proximity to the bike lock-up area means readily available re-hydration for cyclists. This is particularly handy for students with a lengthy commute, as it saves the hassle of stopping for water while travelling to uni. Downside: Weaving through dawdling pedestrians. The racks that have recently been installed alongside the front of the Anderson Stuart building were a bountiful semester-one godsend. One should always aim for a spot closest to the Quad. Why? This patch provides a river delta-esque-triumvirate of cycling route options, with Manning Road sprawling on either side as well as a close link to the Quad and Science Road. It’s also the perfect spot for a morning park due to its unbeatable proximity to Taste and a hot cappuccino. The best part about this spot is the fun of rolling downhill if travelling from Butlin Avenue. This area is best for those with SciTech, Wentworth, Jane Foss Russell, or Gadigal lawns as a final destination. Although well located, these racks are in much heavier use in afternoons, with cyclists often having to double-up on the same bar. The bizarre spiral design of the racks also makes them supremely frustrating for U-lock users. This is prime morning or lunchtime parking but you need to get in quick, lest you be forced to awkwardly manoeuvre uncomfortably close to someone else’s bike (or worse, someone else). The subject of many complaints as a result of its distance from the more central parts of Camperdown campus, the Wallace Theatre isn’t often regarded for its superb location. However, frequent users of these racks are indeed privy to the fruits of this small oasis. This location’s dismal popularity means that, unlike most other parking spots on Camperdown campus, this is a location that does not warrant a first in, best dressed approach. This spot is perfect for students headed to Wallace, Woolley, OTC, Holme or even Ralph’s. It’s also close to Parramatta Road, and a service station shall you ever need to urgently pump your tires. Ingenious. Appearing at first to provide ample spots, this long row of bike bars can be incredibly deceptive. Even following the installation of more racks along Eastern Avenue, bookworms and researchers alike continue to flood Fisher parking, with a flurry of Malvern Stars and rusted hybrids often doubled up on the same bar at busy times. 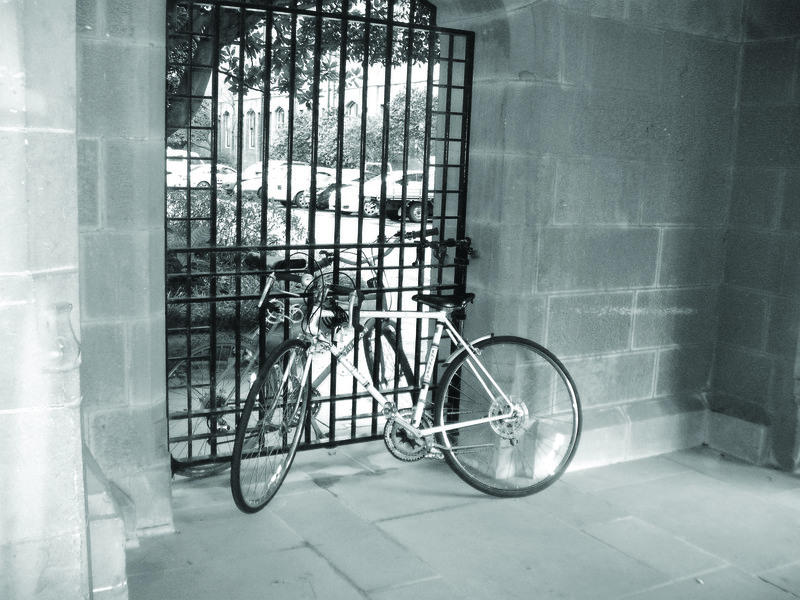 Bikes with larger frames and wheels are difficult to position when utilising the secure ‘u-lock-through-back-wheel-and-frame’ locking method. Setting up camp adjacent to the stack should be a last resort.